In only its third FIA World Endurance Championship race, the works Toyota team has defeated the might of Audi to take a memorable maiden victory at the series’ fifth round, held on the Interlagos circuit in Sao Paulo, Brazil, today. 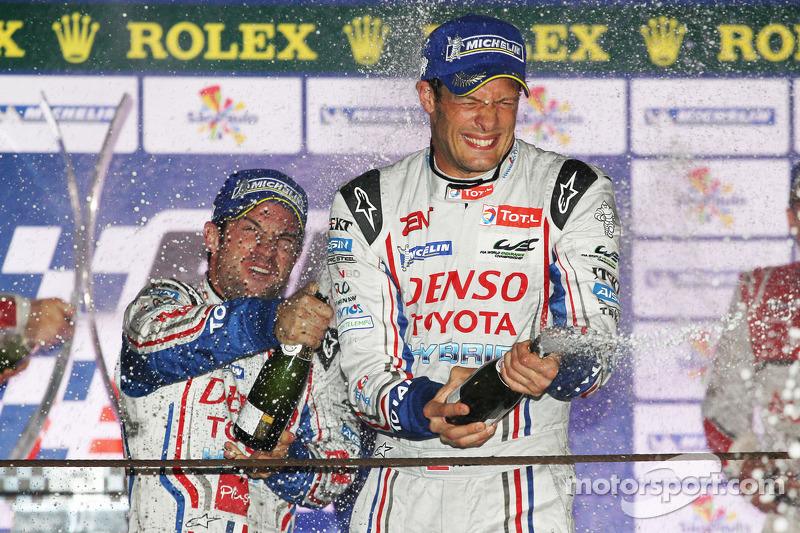 The Japanese squad’s driving duo of Alex Wurz and Nicolas Lapierre (Kazuki Nakajima was on Super GT duty in Japan) led away from pole position, only lost the lead of the six-hour race during the pit-stop cycles and eventually finished more than a lap ahead of their closest challengers: the Le Mans-winning trio of Andre Lotterer, Benoit Treluyer and Marcel Fassler. Better-than-expected fuel consumption for the TS030 hybrid car, combined with heavier-than-expected tyre wear on the part of the two Audi R18s, meant Toyota held a clear advantage once the first round of stops was completed. Driving the non-hybrid Audi, Tom Kristensen and Alan McNish again had to give best to their team-mates, after finishing second at Silverstone. The LM P1 runners avoided the drama that erupted further down the field at the first corner. First, the #49 Pecom Racing Oreca of Piere Kaffer and the #24 OAK Morgan of Mathieu Lahaye spun in tandem. Just behind this LM P2 pair, local driver Enrique Bernoldi, making a guest appearance in the #61 AF Corse Waltrip Ferrari 458, collided with the rear of the #29 Gulf Racing Lola LM P2 coupe, started by Fabien Giroix. Despite heavy damage, both cars would go on to finish the race, albeit well behind the class leaders. 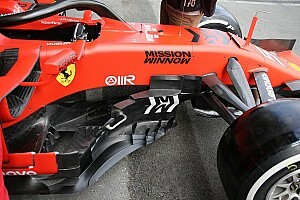 The same could not be said of the #57 Krohn Racing Ferrari, which was also involved, and had to retire after lengthy efforts to repair it in the garage came to naught. At the head of the GTE Pro field, Aston Martin’s polesitter Stefan Mucke lost the lead to Felbermayr Porsche’s Marc Lieb off the grid, then slipped to third behind a hard-charging Gianmaria Bruni, who subsequently passed Lieb and set about building a 30-second lead. 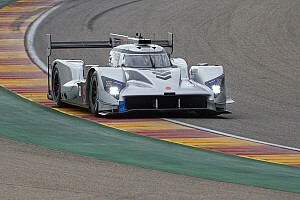 But like Toyota, Aston were seeing improved fuel consumption here compared to Silverstone several weeks ago, and Mucke retook the lead during the stops. That was not to be the end of the affair, however, and Bruni was soon running an impressive pace once again, snatching first after several laps on the Aston’s tail. That would be how they would finish, ahead of Lieb and Richard Lietz in third. A subdued Andrea Bertolini and Olivier Beretta followed them home in fourth. In P1, Lapierre initially built up a healthy gap, but then came under some pressure as Benoit Treluyer in the faster hybrid Audi took second from McNish in the diesel car and controlled the deficit to the leader. Excessive tyre wear had already put Audi on the back foot, when a badly timed (for them) safety car came out in response to the #23 Signatech P2 car becoming stranded after losing a wheel. Toyota finally made the result almost beyond doubt in the fifth hour, when their car put both the works Audis a lap down. 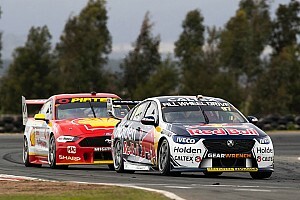 The P1 privateers had a fractious race. Although Rebellion’s #12 Lola of Neel Jani and Nicolas Prost enjoyed a typically unflustered run to fourth overall and first non-works car, the #13 machine of Harold Primat and Andrea Belicchi was not so fortunate: Primat blotted his copybook with an ill-judged passing move on Strakka Racing’s Nick Leventis that delayed the latter driver, until his co-driver Johnny Kane righted the wrong in the final minutes of the race and retook fifth overall. Earlier, Kane had battled with JRM Racing’s Peter Dumbreck for the same position, leading to slight contact around the Interlagos infield. JRM’s weekend went from bad to worse later in the race, as electrical problems in their HPD put paid to any chance of a strong result this time out. LM P2 again provided very close competition, though one of the class’ strongest contenders suffered an early setback when the ADR-Delta Oreca had to make an unscheduled stop after losing a wheel. 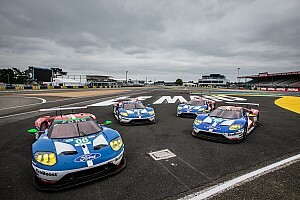 The American Starworks team always looked likely to take their third WEC victory of the season, with ex-Peugeot man Stephane Sarrazin both leading away from class pole and taking the car over the finish line after six hours, ably backed up by his co-drivers Enzo Potolicchio and Ryan Dalziel. OAK Racing’s #35 crew of Bertrand Baguette, Dominik Kraihamer and team newcomer Alex Brundle gave them a good fight in the early stages of the race, however, before a fuel pump problem saw them grind to a halt at the side of the track with less than two hours to go. Second in P2 would instead go to the somewhat fortunate Pecom Racing trio of Kaffer, Luis Perez-Companc and Nicolas Minassian (making his debut for the team here after driving for Jota Sport at Silverstone). They benefitted from a late-race two-minute stop-and-go penalty for the surviving #35 OAK, handed down to owner/driver Jacques Nicolet for speeding in the pit lane. But the efforts of highly rated young Frenchman Olivier Pla kept them on the podium, meaning the Greaves Motorsport Zytek would have to settle for fourth in class, just ahead of the disadvantaged ADR-Delta car and the Lotus Lola coupe in sixth – the latter car running much stronger here in Brazil than it has all season, chiefly thanks to the efforts of former F1 man Vitantonio Liuzzi. Brazilian Fernando Rees was delighted to take a home win in GTE Am, driving his second WEC event of the year in the French Larbre Competition Corvette with Julien Canal and Patrick Bornhauser. Their car caught and passed the Felbermayr Porsche of Gianluca Roda and Paolo Ruberti early on. Larbre also made up for the disappointment of their Silverstone disqualification by securing a double podium, with Christophe Bouret, Jean-Phillipe Belloc and Pascal Gibon finishing third in class. 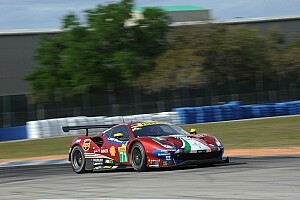 The WEC now heads to Bahrain for the sixth round of the championship on September 29.